Democrat Maggie Hassan has been sworn in as a U.S. senator, becoming only the second woman to serve as a state's governor and senator in American history. Hassan, a two-term governor, resigned at midnight Monday. She was sworn in by Vice President Joe Biden in the Senate Chamber in Washington at noon Tuesday, using the Bible that she received from her mother as a child. In New Hampshire, Hassan handed over the reins to Republican Senate President Chuck Morse. He is serving as governor until Gov.-elect Chris Sununu, also a Republican, is inaugurated Thursday. The other woman to also serve as governor and U.S. senator is a fellow Granite Stater, Democratic U.S. Sen. Jeanne Shaheen. She escorted Hassan into the Senate Chamber for the ceremony. Sununu Claims He Could Have Closed Deal to Bring GE to N.H.
During the campaign, Governor-elect Chris Sununu said he would make attracting companies to the state a top priority. He also promised to meet with 100 business leaders in his first 100 days in office. In a speech this week, Sununu says the current administration hasn’t worked hard enough to attract firms, and criticized officials for failing to land a big one, General Electric. The Republican’s comments on the year-old General Electric decision seemed to come out of the blue. New Hampshire Gov. 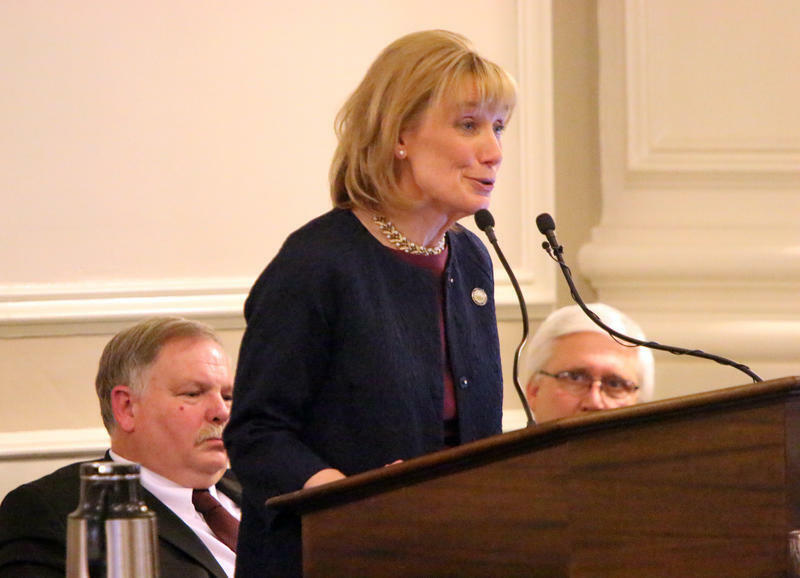 Maggie Hassan is announcing her initial committee assignments in the U.S. Senate. Hassan, who defeated Republican Sen. Kelly Ayotte last month, has been assigned to the Committee on Health, Education, Labor and Pensions and the Committee on Homeland Security and Governmental Affairs. Hassan says she's honored to be appointed to committees that will allow her to continue to focus on critical New Hampshire priorities, such as the drug abuse crisis, access to health care, affordable higher education and keeping communities safe. Governor Maggie Hassan says she'll resign on January 3rd, in advance of being sworn in as New Hampshire's next U.S. Senator. Hassan says she's following precedent set by former Governor Judd Gregg. In a statement released this morning, Hassan says the decision was not made lightly, but says "it's the best course to protect New Hampshire's interests in the United States Senate." The Democrat narrowly won her election to the U.S. Senate in November, defeating Republican Kelly Ayotte.